Solid ski touring bindings in a classic configuration; the overall design is proven, but other companies have made updates that enhance usability. We want to dig the Plum Guide bindings. The Chamonix cachet alone is worth the price of admission. These French-made bindings come from a company that only makes ski touring bindings, and does so with clear passion. Innovation is limited, and customer service seems to be tough, but the product is solid and proven. Larger companies have innovated further and provide more post-purchase support, but the Plum bindings still fill an important niche. In the relatively short history of widespread tech binding use, the Plum Guide has held onto the classic configuration. Long time tech binding users will appreciate the familiarity. Similar familiarity, and even longer pedigree can be obtained at a fraction of the price with the Best Buy Dynafit Speed Turn. The Speed Turn, though, doesn't have ski brakes like the Plum Guide does. Of the major features we look for in touring bindings, the Plum Guide has them all. Also containing all these same features is the Editors Choice Atomic Backland Tour. The Atomic bindings pack all these features into a lighter package and back it up with a world-wide dealer and support network. The Plum Guide XS is an all-metal interpretation of the classic tech style binding. Construction is robust, and the online following is fanatic. The forums are full of fans of the Plum Guide bindings. 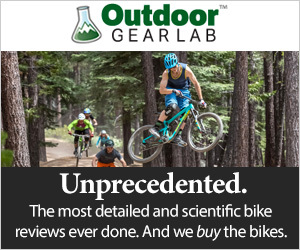 How do they stack up in a thorough OutdoorGearLab comparison? In short, they are functional, but not flashy. There are lighter bindings, bindings that are easier to use, and bindings that better ski downhill. That being said, the Guide may be just the binding for you. One note on nomenclature. The Plum Guide comes in a couple different versions. We tested the XS, which has the lowest release values. Also widely available is the M version. The M version has higher release values. All else is the same. What we say about the XS is easily extrapolated to the M version. All around products score well in our reviews. The Guide is an all-around ski binding for backcountry use. It has all the major features, good construction, and puts it together at a reasonable weight. When we crunch the numbers, the scores bear this out. The Guide is near the top of the heap, overall. Lead test editor and IFMGA Mountain Guide transitioning the Plum Guide from ski to tour mode on a flat light day in Grand Teton National Park. Ski equipment testing is rough work. We dig touring with the Plum Guide. The pivot is easy and clean. The heel lifters are well spaced and cover all the elevations beginner and intermediate skinners will want. Our one issue with the touring performance of the Plum Guide is that the toe piece, in tour mode, is a little more flexible, laterally, than other options. Touring with the Plum Guide is pretty similar, overall, to benchmark products like the Best Buy Dynafit Speed Turn and the Editors Choice Atomic Backland Tour. It tours better than both Top Pick winners. It has more heel lifters than the Plum Tech Race 150 and offers a more rigid connection in tour mode than the Fritschi Tecton. Let us talk more about the rigidity of toe piece connection. When skinning on firm surfaces, especially sidehilling, a good rigid connection helps. The complicated toe piece of the Fritschi Tecton is flexible and sloppy, compared to the others. The machined aluminum construction of the Plum Guide is more rigid than that, but not as rigid as the cast aluminum of the Speed Turn and Dynafit TLT Speed. Compared heel lifter elevations. In this case, the highest lift setting on both the Marker KingPin and the Plum Guide. These two are about the same in this highest level. That we have nothing notable to say about the downhill performance of the Plum Guide is endorsement enough. We want our backcountry bindings to hold our skis to our feet, and maybe release if needed. As long as we don't ski super hard or fast, we don't need sophisticated downhill performance. The Plum Guide works well, but isn't flashy. The one caveat that very sensitive skiers may note with the Plum Guide is that the "binding delta" is greater than average. In fact, this elevation difference between toe and heel is about twice the average. Your heel is a lot higher in the Plum Guide, relative to the toe, than in the Fritschi Tecton or G3 Ion LT. The binding delta of the Plum Guide is the exact same (by our measurements), as that of the Best Buy Dynafit Speed Turn. Straight-line steep powder skiing on Plum Guide bindings on a Teton Pass Powder day. The overall design, as it pertains to usability, is pretty "standard". Some attributes are a little outdated, but largely the usability is on par. Notably, other bindings in this weight class have heel lifters that can be moved with a pole basket. The Plum Guide requires a rotation from ski to tour and between the three different touring elevations. This is the same as the original tech binding designs, but most users have come to value the flip-style heel lifters of something like the Editors Choice Atomic Backland Tour or the very usable G3 Ion LT. The red button prevents the silver bar from sliding. The silver bar prevents the brake from deploying. This "two stage" brake stowage is both tricky to activate, and prone to accidental activation. The Atomic solution is more elegant and secure. Your experience with your backcountry bindings will certainly be tied to the way they transition. Let's look at the major transitions. To switch the Plum Guide from ski to tour mode requires removing the ski from your foot, stowing the brake (a two-handed process), putting on your skins, turning the binding heel, and stepping back in. The brake stowing is the major variable that distinguishes bindings during this transition. The bindings without brakes, like the Top Pick Black Diamond Helio 180 and the Best Buy Dynafit Speed Turn don't require this step at all. The other bindings we tested with brakes are configured such that the brake stowage during a ski to tour transition is either a one-handed operation (like on the Atomic Backland Tour) or is initiated while changing the heel piece and completed when the user steps in, as in the Marker KingPin and Top Pick Fritschi Tecton. In short, the brakes of the Plum Guide XS are the toughest to stow of any of the bindings we tested. To transition from tour to ski requires, at the bare minimum, turning the heel, redeploying the brakes (also a two-handed process), stripping skins, and unlocking the toe piece. With a two-handed task in there, doing these things while the ski is still on your foot is pretty complicated. Some remove their skis for every transition. For them, this won't be a big deal. If you like to, or want to, change from tour to ski with your skis on, the Guide XS makes that a challenge. Finally, switching heel elevations requires rotating the heel. This is the same as on the venerable Best Buy Dynafit Speed Turn and works fine for lots of people. However, flip-style heel lifters work better for most. In the end, transitions on the Plum Guide are trickier than on most of the other bindings we assessed. The only other ease of use comment we'd make on the Plum Guide is that the mechanism that locks the ski brakes out of the way while touring sometimes fails. Whether it is icing, pressure, or just randomness, we don't know. We do know, though, that the brakes seem to deploy, while touring, every few hours. Fixing this requires removing the skinned ski, clearing some ice and snow, locking away the brakes, and putting the ski back on. The brake mechanism of the Plum Guide, iced up in normal powder skiing conditions. At 2.1 lbs per pair, the Plum Guide is right in the middle of our tested bindings, in terms of weight. For the features, this is an ok weight. This weight is exactly tied with the G3 Ion LT, but the Plum includes ski brakes that the G3 doesn't. Of the major binding features we look for (brakes, adjustable length, three touring elevations, adjustable release value), the Plum has them all at a reasonable weight. We granted our Editors Choice award to the Atomic Backland Tour binding because it has all the features we seek, just like the Plum Guide but weighs a third of a pound less. Simple, minimalist toe pieces on the Plum Guide XS. The all-metal construction of the Plum Guide certainly inspires confidence. Other reviews cite this attribute as something very favorable. When superficially compared to other bindings -bindings that extensively use plastic- it seems as though the Plum Guide should be much more durable. Fact is, in decades of ski touring and ski mountaineering, we have had very few issues with the durability of tech style bindings. As compared to other ultralight categories of gear, tech bindings, in general, are very durable. Needless to say, we had basically no issues with the Plum Guide and durability. The one minor thing we experienced was the loss of one of the plastic tips on the ski brakes. It doesn't affect function or safety, but the plastic tip seems to snag on clothing and packs less than the bare metal wire tip that is left exposed now. The heel lifter elevation changes on the Plum Guide are best done with ski pole tip moves. Also, note the left most brake tip and how it has disappeared. These are simple, clean ski touring and ski mountaineering bindings for most users. Given the ease of use limitations, we'd recommend other options for beginning backcountry skiers. Provided the durability continues to hold up, these should last a long time at a relatively reasonable price. While we had no troubles with the Plum Guide, it is worth noting that we had a fairly major failure of the cousin Plum Race 150. It is only worth noting here because our Plum customer service (in the US) following that issue was very slow and problematic. If our experience is any indication, getting good customer service for your Plum bindings is difficult. Testing the Plum Guide on a ski mountaineering course in Grand Teton National Park, March 2018. Plum bindings have a loyal following. Their flagship Guide bindings are widely proven and have years now of use in the field. They are a little trickier to use than others, and you have to hope you don't need spare parts on short notice, but overall you should be happy with them. Backcountry $431.25 - 25% off! Amazon $431.25 - 25% off!